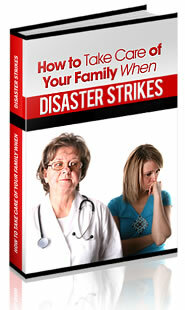 Prepping and being ready for a disaster is definitely a noble cause and will be very beneficial to your family. Most preppers are just regular people that feel being able to have stability during tough times is important. For the majority of preppers, the art of prepping can actually be a fun, learning and possibly competitive experience. Then I see the television show called Doomsday Preppers and feel like the media is really great at showing extremes. I understand this makes good television, but really doesn’t show the average joe prepper. While prepping is great, letting it take over your life is not. Some of these doomsday preppers seem to have gotten so addicted to prepping and survival that in some instances they have lost touch with reality. One of the episodes I saw was a father who was teaching his kids some great skills in self defense and using certain tools like throwing a hatchet. I felt this was a great bonding and teaching experience, but then the next thing I know, he is pointing a fake gun at his daughter (approximately age 8 or 9) to see how she would react. This was not during any practice or teaching session, but rather just one of the many random drills he did with his children quite often. I felt this was over the top and to the point of addiction (although I could be wrong). Moderation is the key to most things in our lives. Maybe I am different than most preppers, but I feel that making prepping the most important thing in our lives actually makes us forget the reason why we do it. Most of us are prepping to make sure our friends and family are happy and healthy during a disaster. If we lose track of the actual reasons we are prepping, we may lose the things we have right now due to our own negligence and addiction to prepping. There can also be a few other problems with prepping addiction. The first of which is that your prepping can easily turn into hoarding. Make sure that you have enough room for your survival storage and that it is in a location that is not intruding into your personal and living space. As rotating your food is important to prepping, it is a good idea to have a system of organization of your supplies. One of the things you don’t want to do is have to sort through your whole storage to find one thing as this really slows you down and makes it hard for you to be quickly mobile if you need to bug out. Oftentimes, we make impulse buys on sale items, but then forget we have them when we need them; sometimes we don’t even need the item to begin with. Try to first get all of the necessities that you will really need, and then at this point, if you have room, get the luxury or less essential items. The last problem from prepping addiction is that we may spend more money than we should on our storage supplies. This is usually not a huge problem in the prepping community as many preppers are quite frugal and against frivolous debt. When prepping we are usually looking to the future, but we must not forget about the present. If we are not prepared for the present how can we be prepared for a much more difficult future? I would recommend starting a budget and sticking to it. It is amazing how much money is wasted on things we really don’t need. If after really planning your finances (don’t forget to save money, or buy assets like gold and silver) there is some money left over, then start your prepping storage. Even $10 a week can go far in prepping. Be realistic and don’t fall into the impulse buying or you will be achieving the exact opposite of your goals. « What Is a Doomsday Prepper?